First I want to start, with an introduction of my friend Noah’s blog called Money Metagame. He’s jumped into gift card churning and is on pace for numbers quicker than I ever did in one year. He and I discussed this privately in emails, but he wrote up a nice post. Bank of America’s BankAmeriDeals are not the same for everyone. Noah had a 15% off Sears offer and mine was 10%. Who knew? I always thought they were the same for everyone like American Express’ Sync Offers. I also want to reintroduce the idea of in branch credit card offers are better than online ones. We have The Miles Professor telling us about the Chase Sapphire Preferred and United MileagePlus Explorer way back when. Rapid Travel Chai also covered Citi with their Prestige card. I quickly wrote about the CitiBusiness Thank You card that was an in branch offer only now. 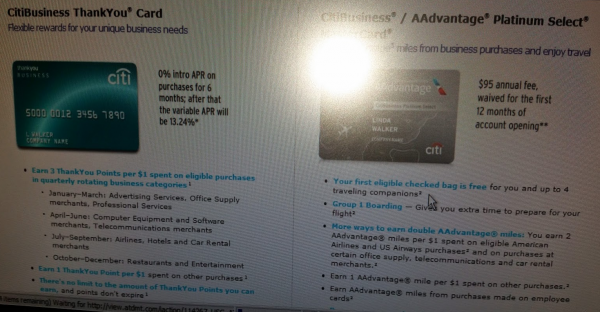 A few weeks ago, I signed up for the CitiBusiness American Airlines credit card. My friend is a small business banker, and this was a great way to help a friend out. The in branch offer is 40,000 miles and two AAdmiral club passes. You might be asking, is Chasing The Points delusional? How is that in branch offer better than the online? Well, my friends, like Travel With Grant if you don’t ask, you don’t receive. I called Citi and asked to be matched to the 50,000 mile offer and they gave it to me. Just 5,000 miles to my personal card and 5,000 to the business card. So now I have the matched offer and 2 club passes. 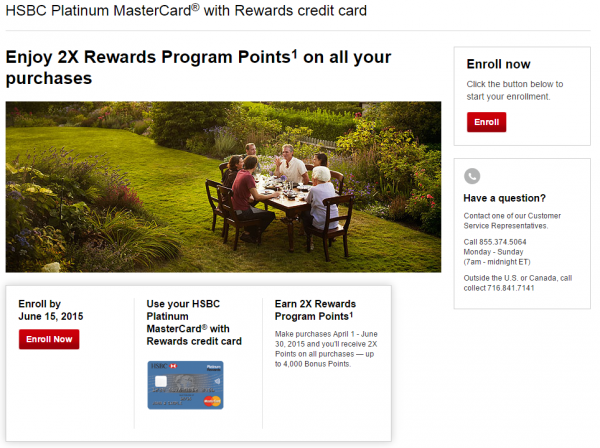 If you have an HSBC Platinum MasterCard, you could be earning 2% with their latest offer. Finally, I have one that’s interesting with PayPal, but you’ll need to read it on the Forum because it has me confused and due to its sensitive nature and I don’t know how to replicate it. How do i get the 2X rewards for HSBC? Do you have a link for HSSBC offer? Why would you reference miles professor when there has not been a post in over 4 months?